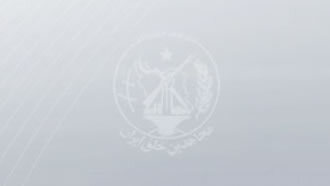 NCRI, 09 September 2010 - According to the “Human Rights and Democracy Activists in Iran,” a violent clash took place in Ward 1 of Gohardasht Prison in Karaj on Monday, which left seven inmates seriously wounded. Four of the injured were transferred to hospitals outside the prison due to the severity of their wounds. One of the inmates identified as Javad Zare had one of his eyes surgically taken out at the prison clinic after he was stabbed in the face. Another prisoner who had deep head wounds was transferred to a hospital outside the prison. According to reports, clashes that take place in the regime’s prisons are incited or encouraged by the regime’s intelligence agents in prison. The people instigating the fights are usually close to the prison’s intelligence service and are involved in distributing drugs and suppressing prisoners. When fights break out in wards, prison guards close the gates and allow gangs to freely attack their victims with the objective of either killing or intimidating them. Following the clashes, guards take out the wounded. In most cases, the culprits are not held accountable and are allowed to continue committing other crimes. The instigators of violent clashes in various wards of Gohardasht Prison are Kerman and Faraji, who are the warden and deputy intelligence chief of the prison, respectively.